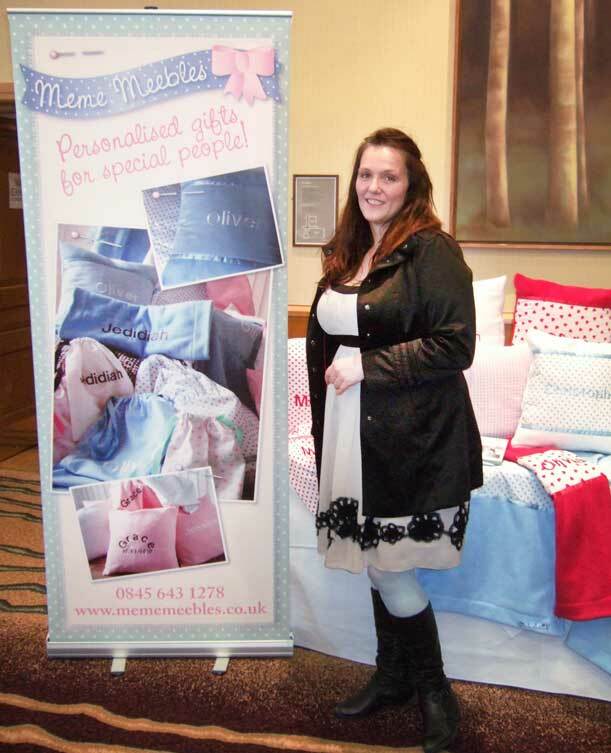 Marie Pollard needed a brand for her new business selling her own beautiful handmade personalised gifts, mainly aimed at nurseries and young children. Although she wasn't quite sure how her brand should look, she was quite certain in her own mind how it shouldn't! We chatted and discussed a few options, but she kept coming back to my very first suggestion, and the brand was developed from there! I used some of the designs from her fabrics as my starting point, and we developed the initial 'ribbon and bow' motif, with the choice of font giving a slightly 'French' feel to the design. The brand design was then applied to all her business stationery, commercially printed material, web page elements and electronic templates, and I also designed (and drafted copy for) her marketing brochure and display banner. 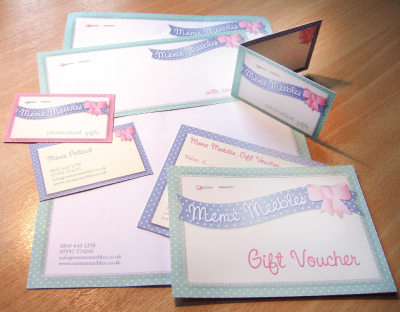 Marie was a great client, with clear ideas of what she liked and didn't like - which makes things very easy for me! Working in a creative industry herself, she really appreciated the design options and attention to detail I tried to incorporate in the work I did for her, and together, we made a very successful team! "We'd like to say a 'big, big thank you' for designing our utterly fantastic new branding, company logo and for producing all our exceedingly smart documents. I enjoyed working with you so very much because of your pleasant, easy-going nature and the fact that you are so dedicated and passionate about what you do. The whole experience was made so much more enjoyable and stress-free because you really are very good at what you do, and more so because you are a really fun person to spend time with! I know that some of what you did was part of your 'job description', but I am also aware that a lot of it was not, and I'd like to commend and thank you for all your hard work. I'm all too aware that you went above and beyond the 'call of duty'! You were so efficient and professional, yet flexible and approachable - a 'real trooper'. If only more business women possessed your attributes - I would even go so far as to say you inspired me! Where would we be without you?!"